Munciana Samurai win the 18 Open AAU National Championship. Nia Parker-Robinson is the MVP. Mike Lingenfelter is the coach. Munciana Ninjas win the 16 Open AAU National Championship. Kylie Murr is named MVP. Head coach, Randy Gardner, wins his first national championship. That makes 33 championships for the club. Six players have won three national championships in a row: Bonnie Bostic, Sophie Oliphant, Molly Hunt, Kylie Murr, Melajah Bryant, Melani Shaffmaster. The Chipmunks placed third in the 14 Open at the AAU National Championships. Munciana Lorax win the 15 Open AAU National Championship. Kenzie Knuckles is named MVP. The coach is Sarah Vance. This championship is the 31st in club history. Three other teams medal at the AAU National Championships. Jim Craig returns as a coach for Munciana and reclaims the Banana Slug name for his 14 National team. Former Munciana player and Purdue alumnus Kelli Miller becomes the head coach of the Ball State women's team, replacing Steve Shondell who retired. Two coaches make the move to the college ranks...Tucker Bitting to Notre Dame and Levi Gibson to Purdue. Munciana takes home two national championships at AAU Nationals. The Chipmunks won their 10th 14 open national championship. Melanie Shaffmaster is named MVP. The coach is Wes Lyon. The Cardinals won the 16 Club AAU national championship. Rhyen Neal is the MVP. The coach is Tucker Biting. The Samurai placed third in the 18 Open division at the AAU National Championship. Munciana enhances its recruiting service, led by Patty Costlow, and partners with SportsRecruits. 30th annual Munciana Classic is held. CJ Allard, former Munciana 182 boy's coach becomes an assistant at the University of North Carolina at Greensboro. Munciana Jaguars win the 14 Classic AAU National Championship. Hallie Holbrook is named MVP. The coach is Trey Butz. This represents the 28th national championship for the club. Carly Skjodt is named the prepvolleyball.com National Player of the Year. Ben Sabin, Munciana boy's club director, leaves to become an assistant coach at Texas A&M International and then moves on to Samford. Three teams medal at the AAU National Championships. Kelly Sheffield becomes the head coach at the University of Wisconsin, after turning around programs at the University of Albany and the University of Dayton. Jeff Aucoin leaves to become an assistant coach at the University of New Hampshire and then on to Harvard. Munciana Samurai win the 18 Open AAU National Championship. Morgan Bergren is named MVP. The coach is Mike Lingenfelter. This championship is the 27th in club history. Two other teams medal at the AAU National Championship. Anders Nelson leaves to coach at the University of Kentucky. Two teams medal at the AAU National Championships. The Munciana Volleyball facility is built and opens for the 2010 season. Steve Shondell leaves to become the head women's coach of the Ball State Cardinals. Jim Craig retires as a club coach with 3 national championships. Munciana Samurai win the 18 Open AAU National Championship. Mia Tabberson is named MVP. The coach is Mike Lingenfelter. The Samurai also win the 18 Open JVA National Championship. Taylor Unroe is named MVP. Todd Chamberlain leaves to coach at the University of Kentucky. 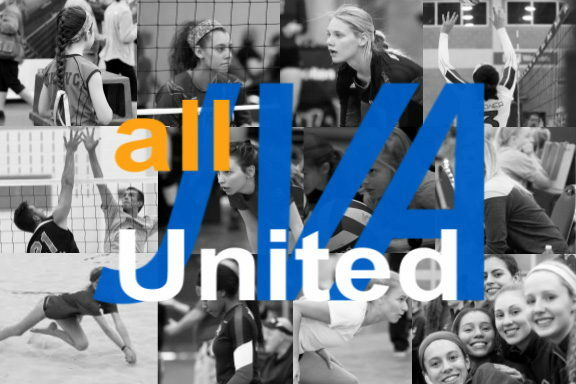 Four teams medal at the AAU or JVA National Championships. Mike Lingenfelter joins Wes Lyon as co-director of the club. For the second year in a row the Munciana Peppers win the USA Volleyball 12s division National Championship. Steve Shondell is the coach. Munciana Peppers win the 12 Open USA Volleyball National Championship. The coach is Steve Shondell. Craig Skinner becomes the head coach at the University of Kentucky. Wes Lyon takes over as the 14s Chipmunk coach after leading the 18 open team for 20 years and Mike Lingenfelter moves to the 18s and starts the Samurai tradition. Munciana Chipmunks win the 14 Open USA Volleyball National Championship. The coach is Wes Lyon. Kevin Laseau leaves to become an assistant coach at Yale University. Dave Shondell leaves to become the head coach of the Purdue Boilermakers. John Shondell leaves to become his assistant coach. The 13 Open Munciana Meerkats take 2nd place at the USA Volleyball National Championships in Atlanta, Georgia. Munciana Hokies win the club's first 17 Open USA Volleyball National Championship. Kimi Freeburg is named MVP. The coach is Dave Pilkington. Munciana Raven win the club's first 18 Open USA Volleyball National Championship. Lynette Moster is named MVP. The coach is Wes Lyon. Munciana Chipmunks win the 14 Open USA Volleyball National Championship. Dave Shondell is the coach and garners his third national championship. Jim Craig garners his third national championship, as his 15 Open Munciana Slug Bugs win the USA Volleyball National Championship. Kimi Freeburg is named MVP. Three other teams placed in the medal round. Steve Shondell returns to Munciana after a two year stint with the Ball State men's team and starts a new tradition with the Peppers in the 12 Open division. Munciana Bulldawgs win the 16 Club USA Volleyball National Championship. Jennifer Richardson is named MVP. The coach is Matt Affolder. Munciana Roos win the 15 Club USA Volleyball National Championship. Kenna Knapp is the coach. Two other teams earned medals. Munciana Banana Slugs win the 16 Open USA Volleyball National Championship. Melissa Wright is the MVP. Jim Craig is the coach. Kelly Sheffield leaves to become an assistant coach at the University of Houston. Dave Shondell takes the helm of the Chipmunks and is only the second Chipmunk coach in the history of the club. Munciana Chipmunks win the 14 Open USA Volleyball National Championship. Steve Shondell finishes his Chipmunk career with a win and will become a full time assistant coach for his dad and the Ball State men's team. Steve goes out in style with his third USA volleyball championship, to go along with four AAU championships. The Munciana Tiggers also took home a medal, placing 3rd in the 12 Open division. Version 1.0 of the Munciana website is born, www.munciana.com. This site was created by Kevin Laseau on a Macintosh using Adobe PageMill, some chewing gum, and a healthy dose of twine. Two teams medal at the USA Volleyball National Championships. 237 teams attend the Asics Munciana Classic, including 34 boy's teams. For the first time, two different teams win USA Volleyball National Championships. Munciana Aardvarks win the 16 Open division. Keylee Wright is named MVP. Jim Craig is the coach. Munciana Purple Storm win the 12 Open. Dave Shondell is the coach. Two teams finish 4th at the USA Volleyball National Championships. 246 players and 34 coaches are in the club. Two teams earn medals at the USA Volleyball National Championships. Munciana Black wins the 18 Open National Youth Volleyball Association Championship over Sports Performance. Michelle Martin is the MVP. Wes Lyon is the coach. Sacha Caldemeyer is named the High School National Player of the Year. Munciana Chipmunks won their fourth in a row 14 Open AAU National Championship. Carrie Childs is the MVP. Steve Shondell is the coach. The Munciana 161 team places 3rd in the 16 Open division at the USA Volleyball National Championships. John Shondell names his 182 team the" Simpsons" and they respond with a top ten 18 Open finish at nationals. The Munciana Chipmunks sweep the USA and AAU 14 Open Volleyball National Championships for the second year in a row. Rachel Cool is named MVP by USA Volleyball and Carrie Childs is named MVP by AAU Volleyball. Steve Shondell is the coach. The Munciana Furny's place 3rd in the 18 Club division. The Chipmunks win Munciana's first girl's USA Volleyball National Championship in the 14 Open division. Sacha Caldemeyer is named MVP. Steve Shondell is the coach. The "Munks" make it a sweep by winning the 14 Open AAU National Championship. Sacha is the MVP. Lisa Rolf is the first 18s player to be named an all-american. Tim Lyon leaves to coach in South Carolina and Tom Lyon steps into take his place. Munciana fields 150 players on 11 teams, with 18 coaches. Munciana Chipmunks win the first ever Munciana girl's championship with a 14 Open victory at the AAU National Championships. Sacha Caldemeyer is named MVP. Steve Shondell is the coach. The Munciana 17s boy's team places 3rd at the AAU National Championships. Future Munciana coaches John Shondell and Craig Skinner are named to the all-american team. Spike McKenzie shows up on Asics Munciana Classic t-shirts. Munciana alumni, Dawn Davenport, wins the NCAA National Championship at the University of Texas and is named Player of the Year. Two boy's teams grab championships at AAU Nationals. 19 and Under champion is Munciana 19. John Loftis was named MVP. The coach is Don Shondell. 13 and Under champion is Munciana 13. Nathan Sallee was named MVP. The coach is Joel Walton. The Munciana 17 team picked up a 3rd place medal at AAU Nationals. Munciana girl's teams participated in the Great Lakes Power League, held in Wheaton, IL. Munciana 17 placed 4th in the league and Munciana 15 placed 6th. Asics becomes the official sponsor of Munciana Volleyball. The first Munciana Classic is held with 61 teams in a three day format. The mayor declared the week of June 2 as Munciana Volleyball week. Teams stayed in the Ball State dorms. WLBC was on location for daily radio coverage. Two girl's teams medal at the AAU National Championships. Four boy's teams earn medals at the AAU National Championships. Munciana 15 VolleyCards win the 15 and under AAU National Championship. Tim Meyer is the MVP. Dave Shondell is the coach. Munciana consists of 109 players on 6 teams: Two 17s, two 15s, and two 13s. Munciana 13 wins the 13 and Under AAU National Championship. John Shondell is the MVP. Don Shondell is the coach. The Munciana Seniors girl's teams earn a 3rd place medal in the 17 and Under division. Wes Lyon and Tom Pingel form IVCI, which oversees 6 clubs in the state. Tom moves to Indianapolis and starts Circle City and Wes stays in charge of Munciana. 13 girl's sign to play college volleyball. The Munciana girl's teams travel to Rhode Island for the 2nd USA Volleyball Championships. Munciana girl's teams travel to the first girl's USA Volleyball Junior Olympics held at UCLA. Munciana 13 boy's team wins the first Munciana national championship in the 13 and Under division at the USA Volleyball Championships in Knoxville, TN. John Shondell is named MVP. Don Shondell is the coach. Our first athletes go to college. The three Northside High School players are Peri Hankins to Ball State, Sandy Schneider to Valparaiso, and Joannie Smith to Arizona State. Steve Shondell starts Munciana Volleyball with a single team with 12 players from Northside High School. They placed 7th at nationals at Oakland College, MI and then their high school team proceeded to win back to back state championships for Northside in 1974 and 1975.